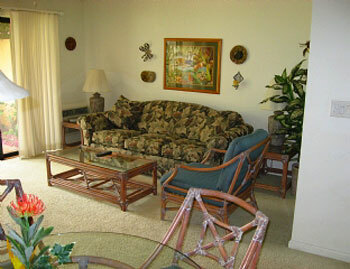 Maui Kamaole Condos for Rent - Beautiful & Affordable Maui Rental Property in PRIME Location! 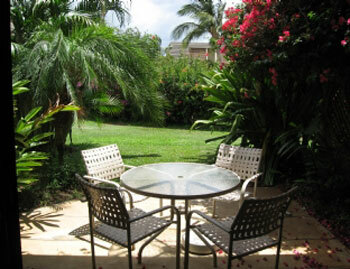 Maui Kamaole Condos for Rent are located in South Kihei. 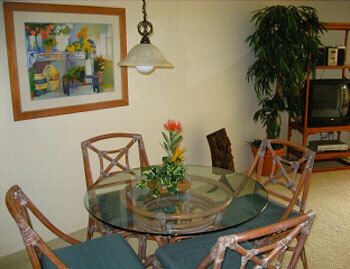 Maui Kamaole pronounced (Mow-ee Ka ma oh lay) is a beautiful condo rental property. 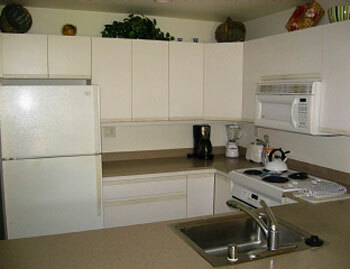 Maui Kamaole Condos for Rent are located in South Maui. 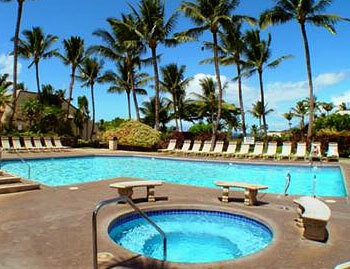 The Maui Kamaole Rentals are walking distance to almost everything! Kamaole Beach 3 rests directly across the street. The Kamaole Beach Park is an excellent Maui beach for families with young children. 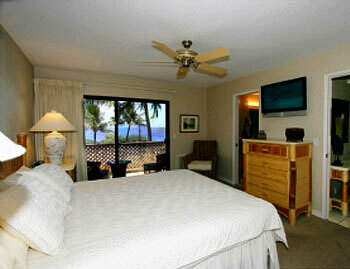 Maui Kamaole overlooks the Maalaea Bay and offers guests condo view options of garden view, and ocean view Maui condos. 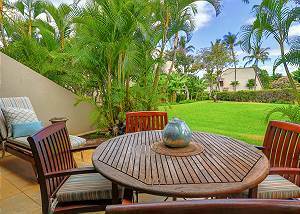 Maui Kamaole Condos for Rent is newer complex with a beautifully tropical 23 acres of land, and each with private lanais in addition to private courtyards. Maui Kamaole #D-107 is a ground floor one bedroom two bath unit with a full kitchen, washer and dryer, Room AC throughout, and can sleep 4. Unit H111 is a ground floor, 1B/2B, partial ocean view unit located at the front of the complex The unit has a full kitchen, W/D, full AC and can sleep 4. Unit J120 is a beautiful ground floor, 1 bed 2 bath ocean view unit. 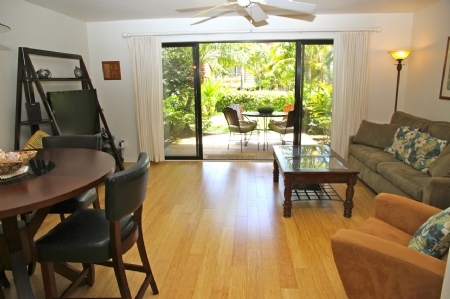 Maui Kamaole #J-110, 1Bd/2Ba, garden view. Maui Kamaole #G-107 is a 1Bd/2Ba ocean view unit on the ground floor with A/C throughout, kitchen, TV/DVD, Wifi, and phone. 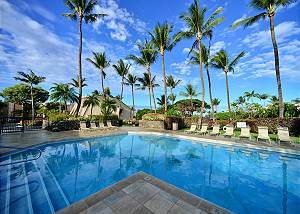 Maui Kamaole #A-102 is a 1Bd/2Ba ocean view unit on the ground floor. 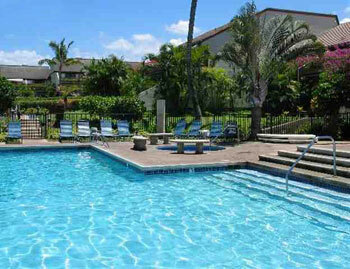 Maui Kamaole #D-109 is a 1Bd/2Ba unit on the ground floor. Maui Kamaole #J-103 is a 1Bd/2Ba ground floor unit with split system A/C throughout, full kitchen, W/D, TV, Telephone, and free Wifi. Maui Kamaole #I-109 is a 1Bd/2Ba corner beach style unit on the ground floor with a partial ocean view, A/C throughout, kitchen, W/D, TV, telephone, and free WIFI.